This weekend marks the 40th anniversary of single largest battle between republicans and the British army of the conflict. 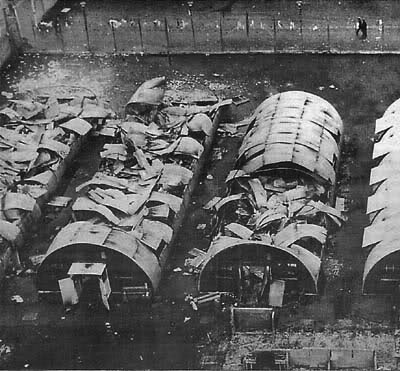 Shortly after 6pm on October 15 1974 around 800 republican internees and sentenced prisoners began to burn their prison compounds inside Long Kesh. Within hours, 21 of the compounds used to house the internees and sentenced prisoners had been destroyed. As the flames licked high into the night sky republicans took over the entire prison complex, destroying watch towers and prison administration buildings. The blaze was visible four miles away from the prison. Republicans had already informed their loyalist counterparts that the prison was to be raised to the ground and loyalists had agreed that their compounds were to be used as first-aid centres, for the battle which would inevitably erupt with the army. “We had been preparing to burn the camp for months,” explains former PoW Kevin Carson. The extent of republican planning was such that they had already made their own respirators to combat the CS gas which they were sure the British army would use against them once the fighting began. “We trained for months so that we were physically fit when the time came to burn the camp. People were told to send anything of value out to their families and others had to carry first-aid kits around with them. Ironically Kevin Carson says the burning of the cages, as they were known, was the easy part. Republicans debated over what should happen to the guard dogs used to patrol the perimeter of the compounds. Within hours hundreds of republicans armed with batons and shields taken from prison officers’ quarters gathered on the jail’s football pitches as thousands of soldiers sealed-off Long Kesh’s perimeter. Meanwhile similar fires were started at Magilligan jail in County Derry. In Armagh women’s prison republicans took a governor and three warders hostage. They were later released unharmed. While fighting continued throughout the night, it wasn’t until the following morning that the British Army made a concerted effort to retake Long Kesh. “They sent in armoured cars at first and fired hundreds of rubber bullets at us. Although the republicans had been prepared for the effects of CS gas they had not prepared for the use of what they believe to be CR gas or Dibenzoxa-zepine, which is thought to be 10 times stronger than its CS counterpart. “We could cope with CS gas because people were used to it and we had the respirators. But this CR gas was different. “The canisters from the helicopter exploded 100 feet from the ground into dozens of cluster bombs which fell all over the pitches. The pitch battle between republicans and the army continued with some soldiers being taken prisoner. The republicans returned to smouldering compounds. The cost of the burning of Long Kesh was estimated at 1.5 million pounds. Then British Direct Ruler Merlyn Rees reported 130 prisoners and nine warders had been injured in the disturbances. Republicans disputed the figures, pointing out the north’s three main hospitals had reported treating more than 180 prisoners. But Kevin Carson said it is the effects of the CR gas which continues to cause controversy. “(They) denied using CR gas, but a few weeks later their doctors tested everyone’s blood. We hadn’t asked for tests and were never given the results. “Since then an awful lot of the men who inhaled the gas on the pitches have developed cancer. “Many have died and we are calling on the British government to come clean on what gas was used on us.